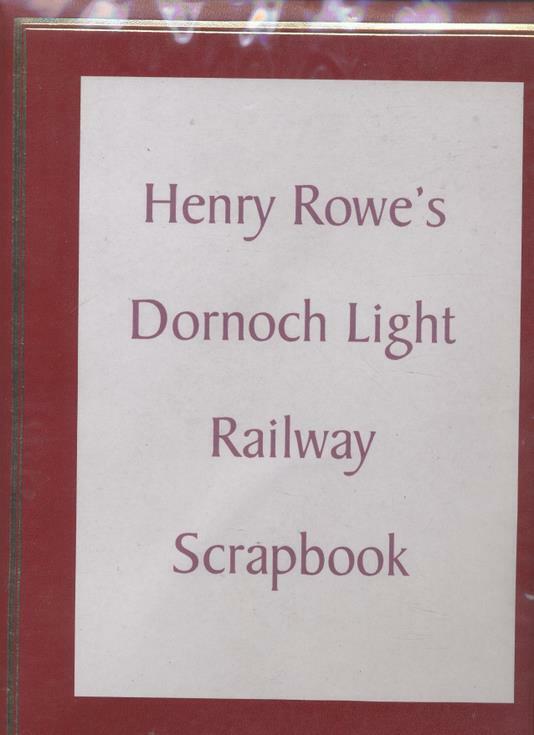 Two scrapbooks, with red plastic covers, bordered with gold, one having a title 'Henry Rowe's Dornoch Light Railway Scrapbook', Part 1 of 10 double sided pages and Part 1 of 22 double sided pages. Both contain photographs, newspaper cuttings, photocopies of posters, programmes, maps and diagrams all relating to Dornoch Railway in the period 1902 - 1960. Part 2 has some black pages.